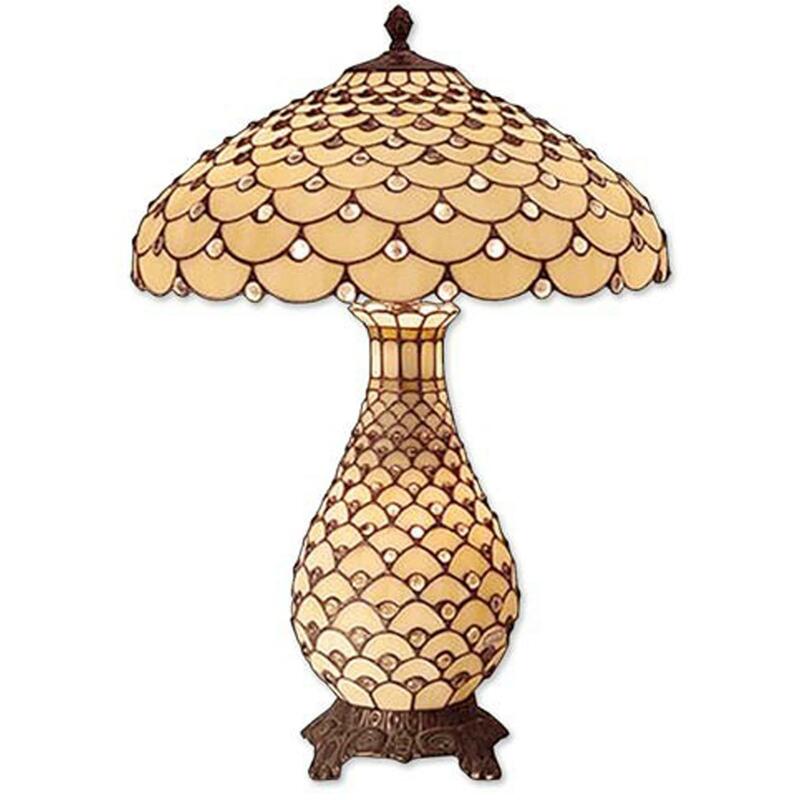 Antique Cream Jewelled Umbrella Tiffany Lamp. Originating from America, Louis Comfort Tiffany (born 1848) became a world-renowned designer of stained glass amongst many other things. Giving us designs offering a wealth of luxurious colour and form that would not look out of place in any environment, this cream table lamp is beautiful to look at and even more so to live with.